Explore the secrets of the city of Tyre, known as the "Wall Street" and "Madison Avenue" of the world for over a thousand years. This fascinating sequel to Tyre: The Invincible uncovers surprising details and several theories of the historical significance of this ancient dynasty. Tyre is referred to 70 times in the Bible and more than 7 chapters of the Bible are dedicated to this ancient city. Why is it so significant and what can we learn from this city that left behind few traces of its splendor? 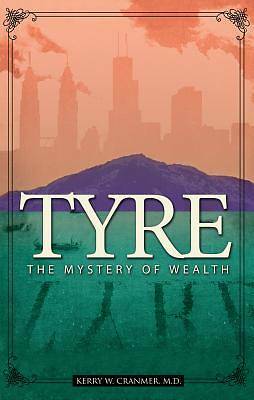 Tyre: The Mystery of Wealth examines Tyre's significance to the future. It was once touted as the financial capital of the world and widely acknowledged as the richest of all cities but what happened? In today's world, financial uncertainty has erupted and the fear of the unknown has gripped nations. What is revealed in this book could have an impact on you and your loved ones in these exciting and perilous times.